Yearly Leaders and Records for Steals Per Game. basketball-reference.com. Sports Reference LLC. [2016-07-25]. （原始内容存档于2016-04-07）. ^ Basketball glossary. FIBA.com. [2016-03-06]. （原始内容存档于2016-03-06）. ^ 2.0 2.1 Regular Season Records: Steals. NBA.com. Turner Sports Interactive, Inc. [2016-07-25]. （原始内容存档于2016-05-11）. ^ 3.0 3.1 3.2 Rate Statistic Requirements. basketball-reference.com. Sports Reference LLC. [2016-07-24]. （原始内容存档于2016-03-22）. ^ League Leaders: Steals – 1973–74. NBA.com. Turner Sports Interactive, Inc. [2016-07-25]. （原始内容存档于2015-10-22）. ^ Larry Steele. Sports Reference LLC. [2016-07-25]. （原始内容存档于2016-03-15）. ^ League Leaders: Steals – 1974–75. NBA.com. Turner Sports Interactive, Inc. [2016-07-25]. （原始内容存档于2015-10-22）. ^ Rick Barry. Sports Reference LLC. [2016-07-25]. （原始内容存档于2016-04-13）. ^ League Leaders: Steals – 1975–76. NBA.com. Turner Sports Interactive, Inc. [2016-07-25]. （原始内容存档于2015-10-22）. ^ Slick Watts. Sports Reference LLC. [2016-07-25]. （原始内容存档于2016-04-13）. ^ League Leaders: Steals – 1976–77. NBA.com. Turner Sports Interactive, Inc. [2016-07-25]. （原始内容存档于2015-10-22）. ^ Don Buse. Sports Reference LLC. [2016-07-24]. （原始内容存档于2016-04-12）. ^ League Leaders: Steals – 1977–78. NBA.com. Turner Sports Interactive, Inc. [2016-07-25]. （原始内容存档于2015-10-22）. ^ Ron Lee. Sports Reference LLC. [2016-07-25]. （原始内容存档于2016-03-22）. ^ 14.0 14.1 League Leaders: Steals – 1978–79. NBA.com. Turner Sports Interactive, Inc. [2016-07-25]. （原始内容存档于2016-04-07）. ^ M.L. Carr. Sports Reference LLC. [2016-07-25]. （原始内容存档于2016-04-12）. ^ League Leaders: Steals – 1979–80. NBA.com. Turner Sports Interactive, Inc. [2016-07-25]. （原始内容存档于2015-10-22）. ^ 17.0 17.1 17.2 Micheal Ray Richardson. Sports Reference LLC. [2016-07-24]. （原始内容存档于2016-05-05）. ^ 18.0 18.1 League Leaders: Steals – 1980–81. NBA.com. Turner Sports Interactive, Inc. [2016-07-25]. （原始内容存档于2015-10-22）. 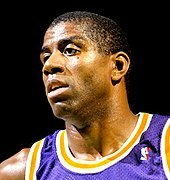 ^ 19.0 19.1 Magic Johnson. Sports Reference LLC. [2016-07-24]. （原始内容存档于2016-06-03）. ^ 20.0 20.1 League Leaders: Steals – 1981–82. NBA.com. Turner Sports Interactive, Inc. [2016-07-25]. （原始内容存档于2016-03-05）. ^ 21.0 21.1 League Leaders: Steals – 1982–83. NBA.com. Turner Sports Interactive, Inc. [2016-07-25]. （原始内容存档于2016-03-05）. ^ League Leaders: Steals – 1983–84. NBA.com. Turner Sports Interactive, Inc. [2016-07-25]. （原始内容存档于2015-10-22）. ^ Rickey Green. Sports Reference LLC. [2016-07-25]. （原始内容存档于2015-10-22）. ^ League Leaders: Steals – 1984–85. NBA.com. Turner Sports Interactive, Inc. [2016-07-25]. （原始内容存档于2015-10-22）. ^ League Leaders: Steals – 1985–86. NBA.com. Turner Sports Interactive, Inc. [2016-07-25]. （原始内容存档于2015-01-22）. ^ 26.0 26.1 26.2 Alvin Robertson. Sports Reference LLC. [2016-07-25]. （原始内容存档于2016-04-05）. ^ League Leaders: Steals – 1986–87. NBA.com. Turner Sports Interactive, Inc. [2016-07-25]. （原始内容存档于2015-10-22）. ^ League Leaders: Steals – 1987–88. NBA.com. Turner Sports Interactive, Inc. [2016-07-25]. （原始内容存档于2015-10-22）. 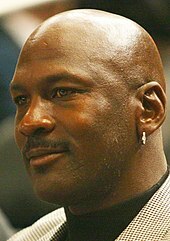 ^ 29.0 29.1 29.2 Michael Jordan. Sports Reference LLC. [2016-07-25]. （原始内容存档于2016-06-06）. ^ League Leaders: Steals – 1988–89. NBA.com. Turner Sports Interactive, Inc. [2016-07-25]. （原始内容存档于2015-10-22）. ^ 31.0 31.1 John Stockton. Sports Reference LLC. [2016-07-24]. （原始内容存档于2016-04-05）. ^ League Leaders: Steals – 1989–90. NBA.com. Turner Sports Interactive, Inc. [2016-07-25]. （原始内容存档于2015-10-22）. ^ League Leaders: Steals – 1990–91. NBA.com. Turner Sports Interactive, Inc. [2016-07-25]. （原始内容存档于2015-10-22）. ^ League Leaders: Steals – 1991–92. NBA.com. Turner Sports Interactive, Inc. [2016-07-25]. （原始内容存档于2015-10-22）. ^ League Leaders: Steals – 1992–93. NBA.com. Turner Sports Interactive, Inc. [2016-07-25]. （原始内容存档于2016-04-07）. ^ League Leaders: Steals – 1993–94. NBA.com. Turner Sports Interactive, Inc. [2016-07-25]. （原始内容存档于2015-10-22）. ^ Nate McMillan. Sports Reference LLC. [2016-07-25]. （原始内容存档于2016-04-12）. ^ League Leaders: Steals – 1994–95. NBA.com. Turner Sports Interactive, Inc. [2016-07-25]. （原始内容存档于2016-04-07）. ^ Scottie Pippen. Sports Reference LLC. [2016-07-25]. （原始内容存档于2016-04-10）. ^ League Leaders: Steals – 1995–96. NBA.com. Turner Sports Interactive, Inc. [2016-07-25]. （原始内容存档于2016-04-07）. ^ Gary Payton. Sports Reference LLC. [2016-07-25]. （原始内容存档于2016-04-12）. ^ League Leaders: Steals – 1996–97. NBA.com. Turner Sports Interactive, Inc. [2016-07-25]. （原始内容存档于2015-10-22）. ^ 43.0 43.1 Mookie Blaylock. Sports Reference LLC. [2016-07-25]. （原始内容存档于2016-04-05）. ^ 44.0 44.1 League Leaders: Steals – 1997–98. NBA.com. Turner Sports Interactive, Inc. [2016-07-25]. （原始内容存档于2015-10-22）. ^ Beck, Howard. N.B.A. and Union Are Discussing New Labor Deal. The New York Times (The New York Times Company). 2009-02-14 [2016-07-24]. （原始内容存档于2016-04-10）. ^ League Leaders: Steals – 1998–99. NBA.com. Turner Sports Interactive, Inc. [2016-07-25]. （原始内容存档于2015-10-22）. ^ Kendall Gill. Sports Reference LLC. [2016-07-25]. （原始内容存档于2016-05-06）. ^ League Leaders: Steals – 1999–2000. NBA.com. Turner Sports Interactive, Inc. [2016-07-25]. （原始内容存档于2015-10-22）. ^ Eddie Jones. Sports Reference LLC. [2016-07-25]. （原始内容存档于2016-04-05）. ^ 50.0 50.1 League Leaders: Steals – 2000–01. NBA.com. Turner Sports Interactive, Inc. [2016-07-25]. （原始内容存档于2015-10-22）. 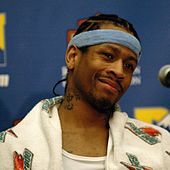 ^ 51.0 51.1 51.2 Allen Iverson. Sports Reference LLC. [2016-07-25]. （原始内容存档于2016-05-09）. ^ 52.0 52.1 League Leaders: Steals – 2001–02. NBA.com. Turner Sports Interactive, Inc. [2016-07-25]. （原始内容存档于2015-10-22）. ^ League Leaders: Steals – 2002–03. NBA.com. Turner Sports Interactive, Inc. [2016-07-25]. （原始内容存档于2015-10-22）. ^ 54.0 54.1 League Leaders: Steals – 2003–04. NBA.com. Turner Sports Interactive, Inc. [2016-07-25]. （原始内容存档于2016-03-04）. ^ 55.0 55.1 Baron Davis. Sports Reference LLC. [2016-07-25]. （原始内容存档于2016-03-17）. ^ 56.0 56.1 League Leaders: Steals – 2004–05. NBA.com. Turner Sports Interactive, Inc. [2016-07-25]. （原始内容存档于2016-04-07）. ^ Larry Hughes. Sports Reference LLC. [2016-07-25]. （原始内容存档于2016-04-07）. ^ 58.0 58.1 League Leaders: Steals – 2005–06. NBA.com. Turner Sports Interactive, Inc. [2016-07-25]. （原始内容存档于2016-04-07）. ^ Gerald Wallace. Sports Reference LLC. [2016-07-25]. （原始内容存档于2016-04-05）. ^ 60.0 60.1 League Leaders: Steals – 2006–07. NBA.com. Turner Sports Interactive, Inc. [2016-07-25]. （原始内容存档于2016-04-07）. ^ League Leaders: Steals – 2007–08. NBA.com. Turner Sports Interactive, Inc. [2016-07-25]. （原始内容存档于2015-10-22）. 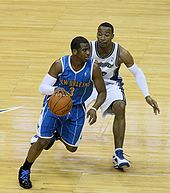 ^ 62.0 62.1 62.2 62.3 62.4 62.5 Chris Paul. Sports Reference LLC. [2016-07-25]. （原始内容存档于2016-05-09）. ^ Rajon Rondo. Sports Reference LLC. [2016-07-24]. （原始内容存档于2016-07-08）. ^ Beck, Howard. Two Exhibition Games for N.B.A. Teams. The New York Times (The New York Times Company). 2011-11-28 [2011-12-02]. （原始内容存档于2011-12-02）. ^ 2012-13 NBA Season Summary. basketball-reference.com. Sports Reference LLC. [2016-07-25]. ^ 2013-14 NBA Season Summary. basketball-reference.com. Sports Reference LLC. [2016-07-25]. （原始内容存档于2016-04-09）. ^ 67.0 67.1 2014-15 NBA Season Summary. basketball-reference.com. Sports Reference LLC. [2016-07-25]. （原始内容存档于2016-04-09）. ^ 2015-16 NBA Season Summary. basketball-reference.com. Sports Reference LLC. [2016-07-25]. （原始内容存档于2016-06-06）. ^ 2016-17 NBA Season Summary. basketball-reference.com. [April 14, 2017].